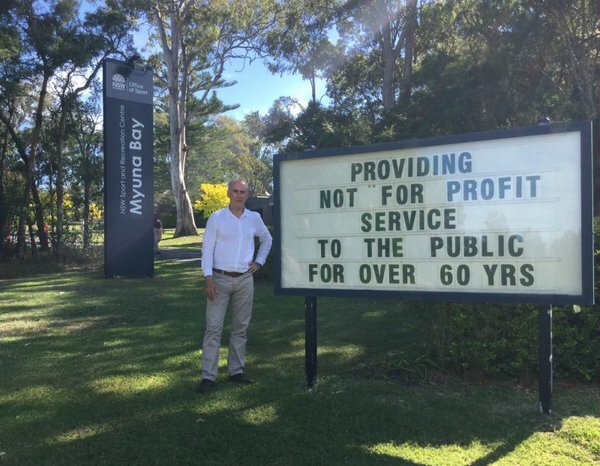 While the fight to save Myuna Bay Sport and Recreation Centre was reflective of my views on privatisation, it was also reflective of what can be achieved when this community pulls together for a common cause. In 2016, the State Government conducted a review into the operations of these sport and recreation centres with a view to privatising their management and general operations. In a victory for commonsense, the State Government withdrew from the process in December of that year, promising that the Myuna Bay centre and 10 others statewide would remain in public hands. It was a very satisfying victory and I congratulated everyone who played a part, in particular the PSU and its members which fought the battle statewide. I also acknowledged then-Premier Mike Baird and Sports Minister Stuart Ayres for listening to the community and really understanding what the Myuna Bay centre meant to the local community. The Myuna Bay centre has served this region well for more than 60 years with specialised outdoor education programs run by expert, quality staff. And while it is generally-regarded as a not-for-profit operation, Myuna Bay Sport and Recreation Centre is profitable and is not a burden on taxpayers. I’m very proud of the centre and what it provides our community, and I am equally proud to have played a role in ensuring it will continue to operate in public hands.